Let your freak flag fly! Climb on the psychedelic bus with the Merry Pranksters and take the Acid Test. Groove on the streets of Haigh-Ashbury during the summer of love. Get experienced with Hendrix at Monterey and commune with the mud and 400,000 free spirits at Woodstock. From the mid-60s to the early 70s, the hippie counterculture burst upon the scene in celebration of freedom, love, peace, and the limitless possibilities of sensual and spiritual exploration. 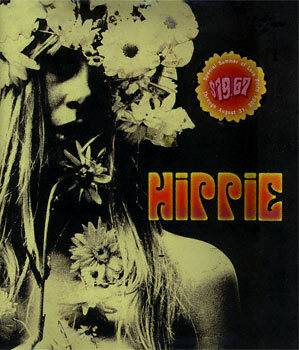 Alive with the outrageous personalities and revolutionary upheavals of a time that changed the world, Hippie is trippy and true to the spirit of a time unlike any other. Far out, man.